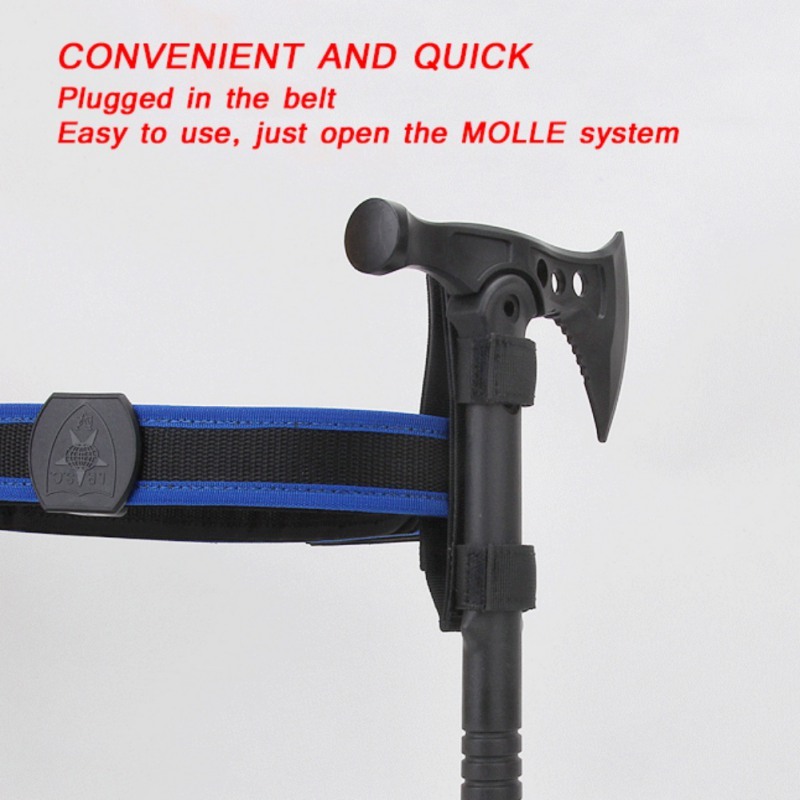 Don't use it on your belt, it's easy to use, you can easily open the MOLLE system. 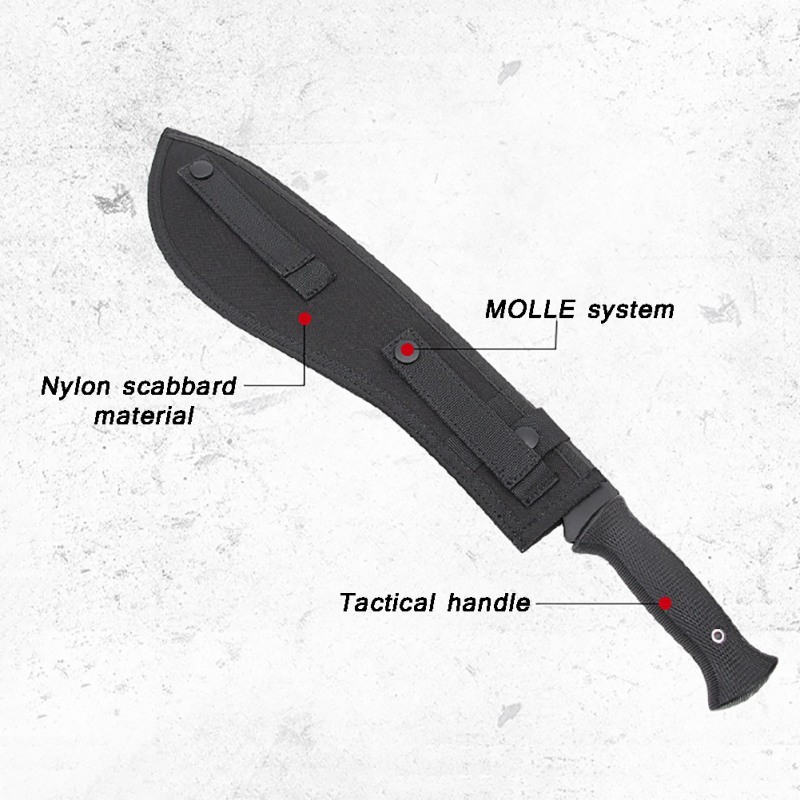 The simulated fish scale wave curved handle fits the surface of the palm with anti-slip particles, which makes the grip firm and comfortable and not easy to fall off. 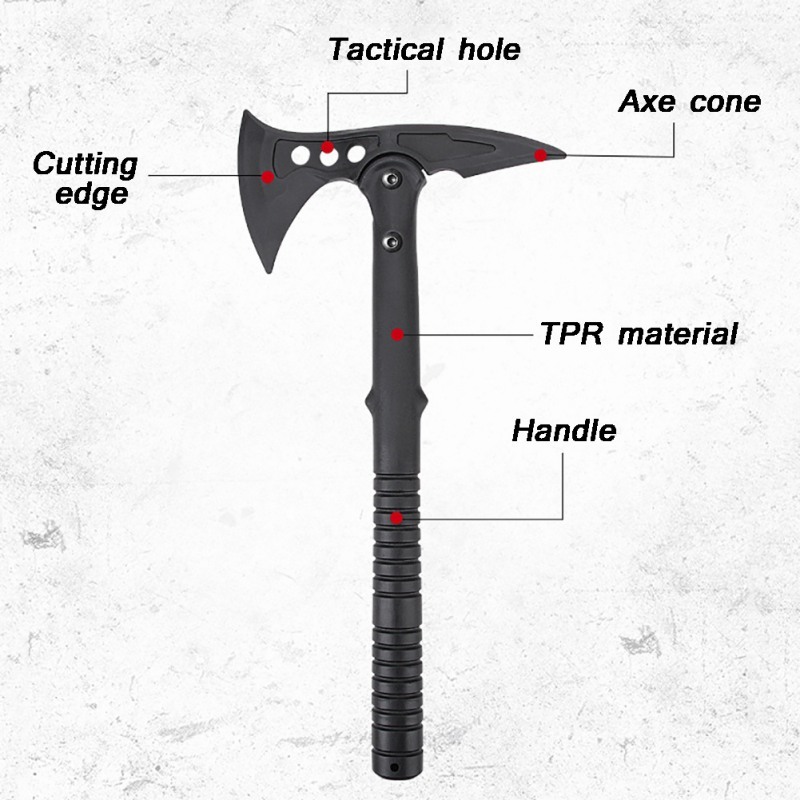 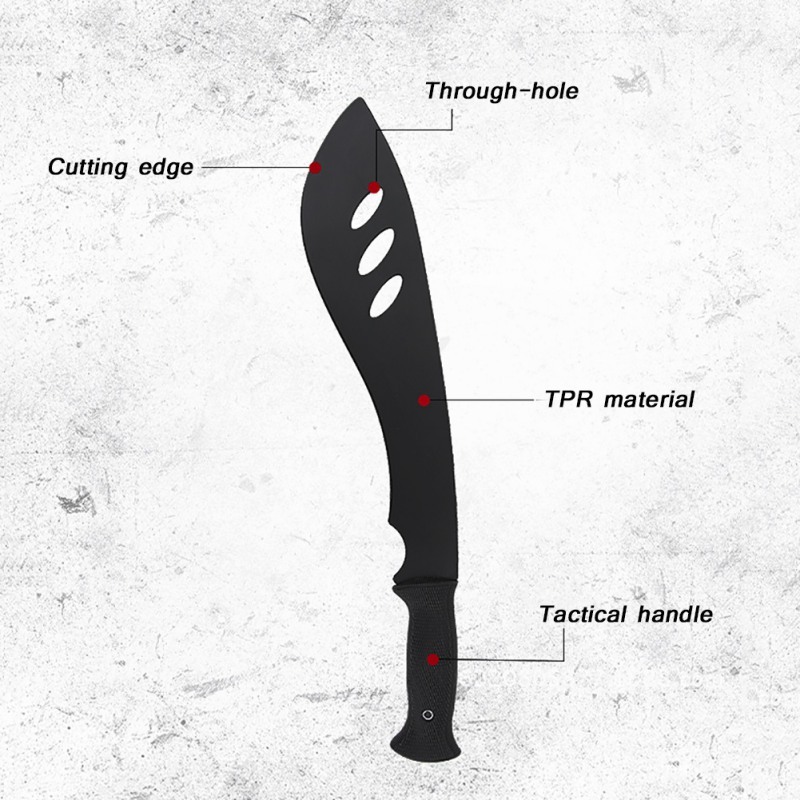 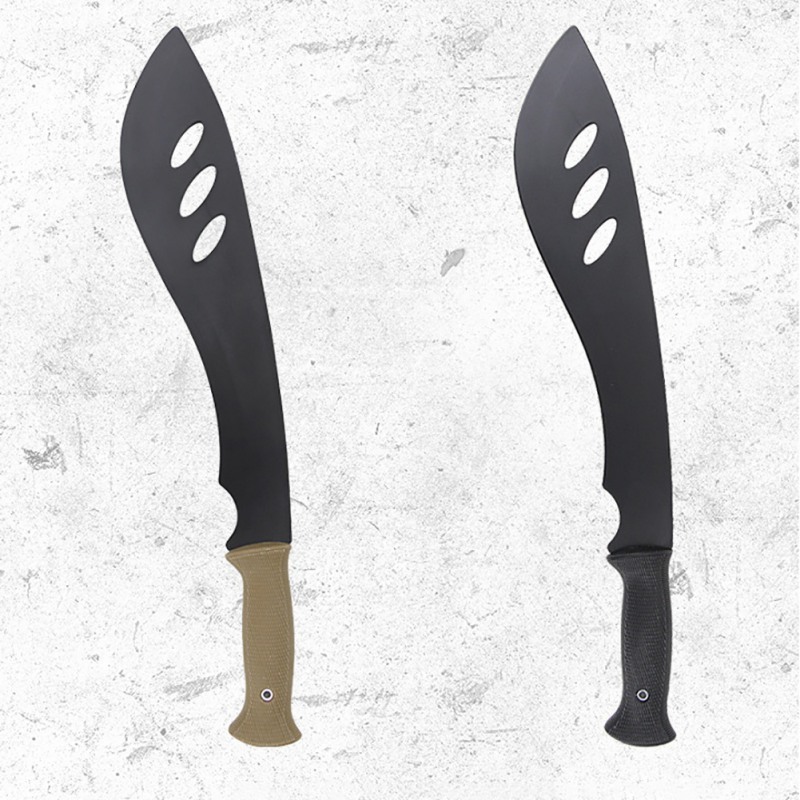 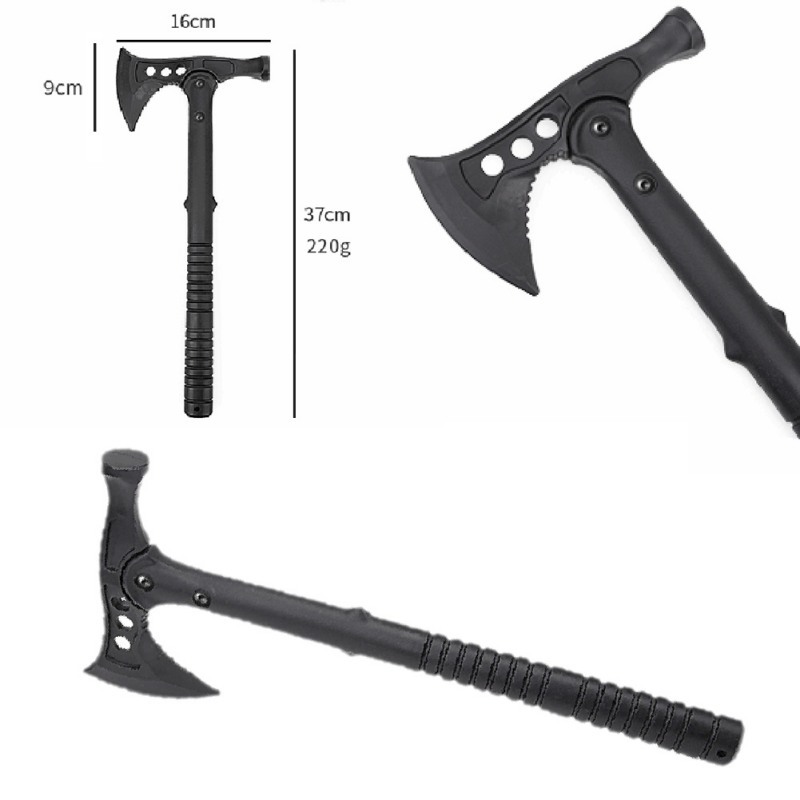 Main material: TPR material Product size: full length 49cm Product weight: 180g Handle 12.5cm Product color: mud/black Product use dress up props Product Name: Battle Axe (Model) Product No. 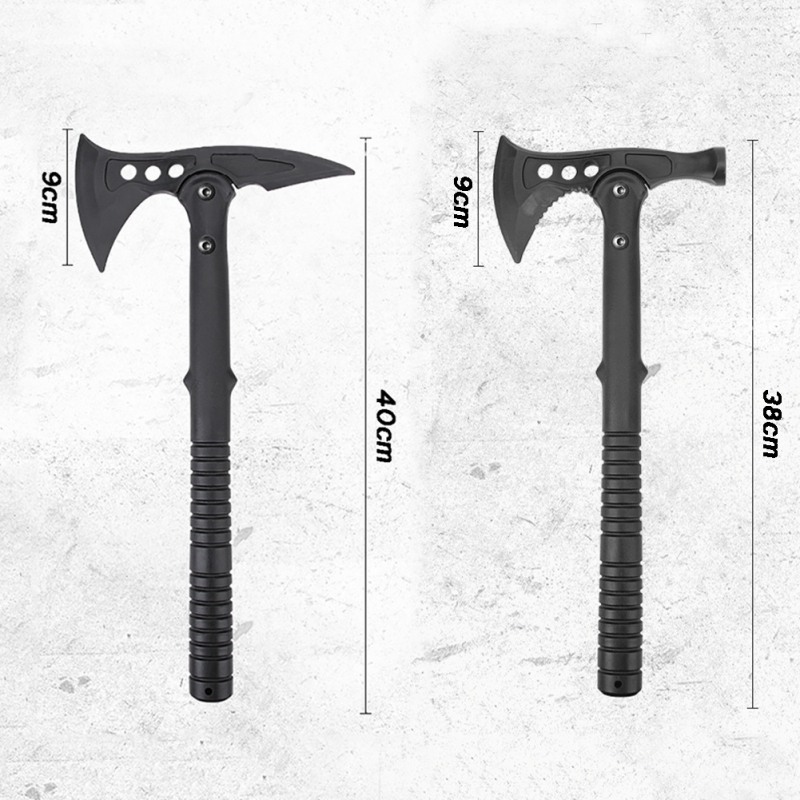 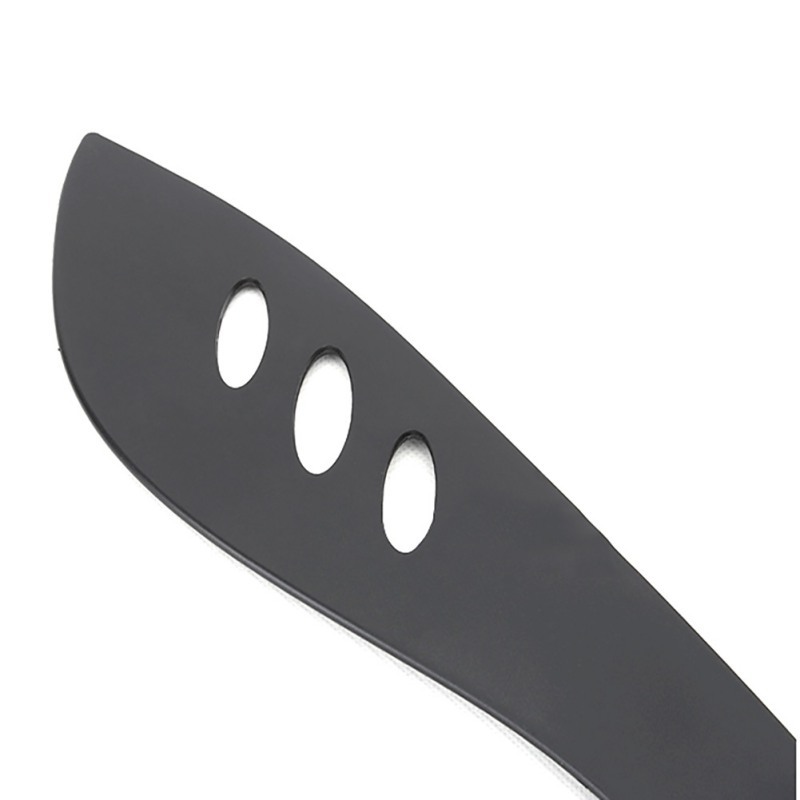 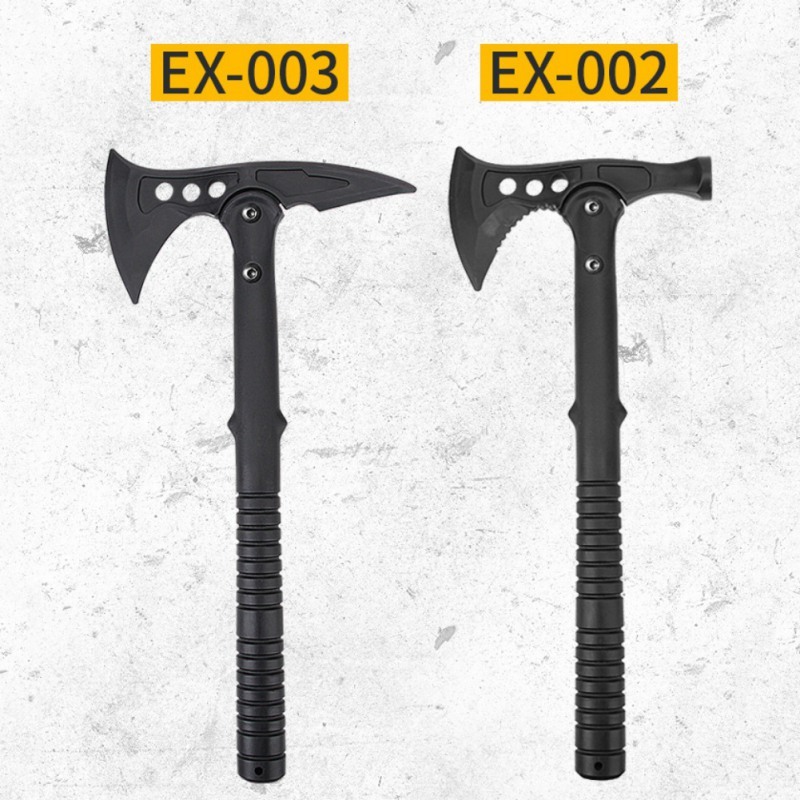 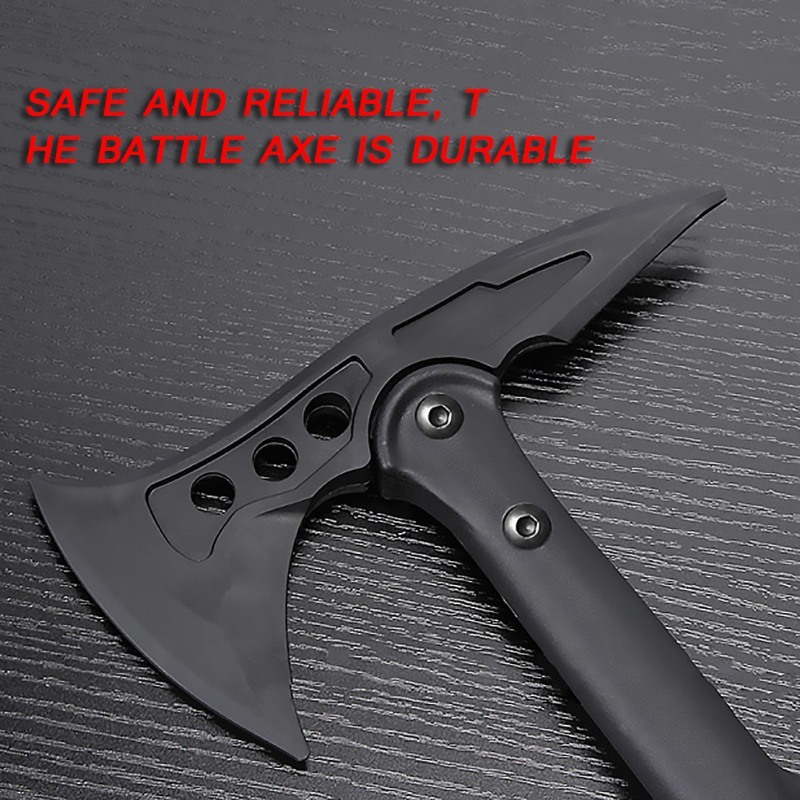 : EX002 Bladed Axe Main Material: TPR Material EX003 Battle Axe Product size: 19*38cm Product weight: 200g 16*37cm 220g Product color: black Product use: dress up props use Safety division SAFE AND RELIABLE, THE BATTLE AXE IS DURABLE If you dress up for the month Highly simulated design, dress up props TPR material Solitary blade design TPR material, good toughness, use props Convenient CONVENIENT AND QUICK Don't be on the belt Don't use it on your belt, it's easy to use, you can easily open the MOLLE system. 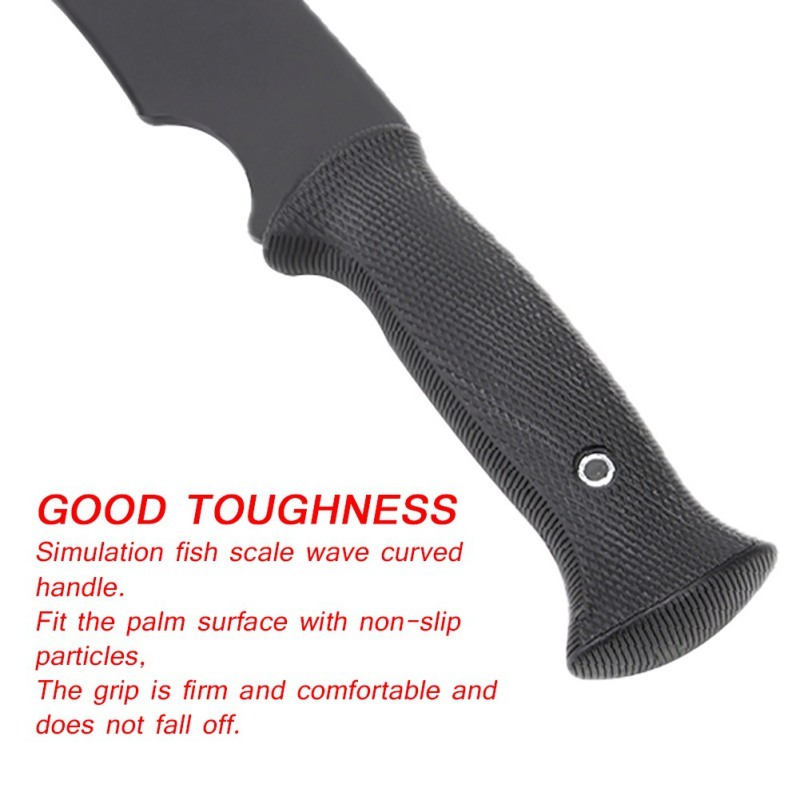 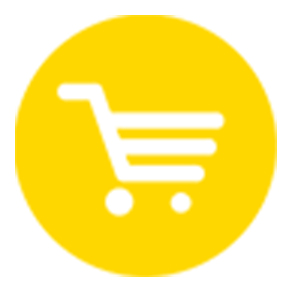 Professional field supplies Toughness is good The simulated fish scale wave curved handle fits the surface of the palm with anti-slip particles, which makes the grip firm and comfortable and not easy to fall off.